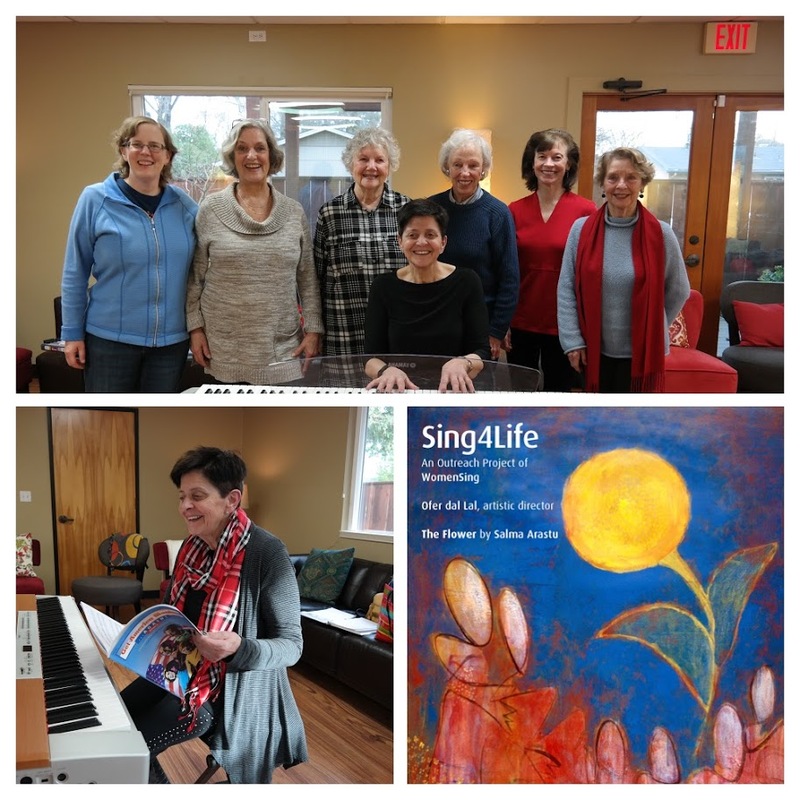 WomenSing establishes “Sing4Life” program at Cancer Support Community !! A small group of WomenSing current singers and alumna have been visiting the Cancer Support Community in Pleasant Hill on a monthly basis for the past year. We sing together with interested participants from the Cancer Support Community. We enjoy our time together, and are led enthusiastically by WomenSing member Jules Campbell on keyboard. Julie Skeen provides trivia on the songs chosen for the afternoon, but there are usually additional comments provided by the participants. Our repertoire is compiled each month by alumnae WomenSing member Patty Murray and Jules, and this year we purchased “Get America Singing Again” booklets that contain selections from patriotic, popular, camping, folk, gospel, and general americana genres. Laughs and good times are shared - in December we focused on holiday music and brought treats to celebrate. We believe that singing is a life sport, and have enjoyed getting to know the women (so far, only one man) who attend each month. Music makes a difference in our lives and those of us who visit the Center each month look forward to a fun, lively afternoon! To learn more about this new WomenSing program, please click HERE.